WE PICK up the story of Moses as the Lord prepares to visit his final plague upon Egypt, one that requires an act of faith and obedience on the part of the Hebrews. What follows is a classic adventure story: Just as it appears the Hebrews are finally free, Pharaoh changes his mind. A dramatic chase across the desert culminates in the Egyptian army at the bottom of the Red Sea. 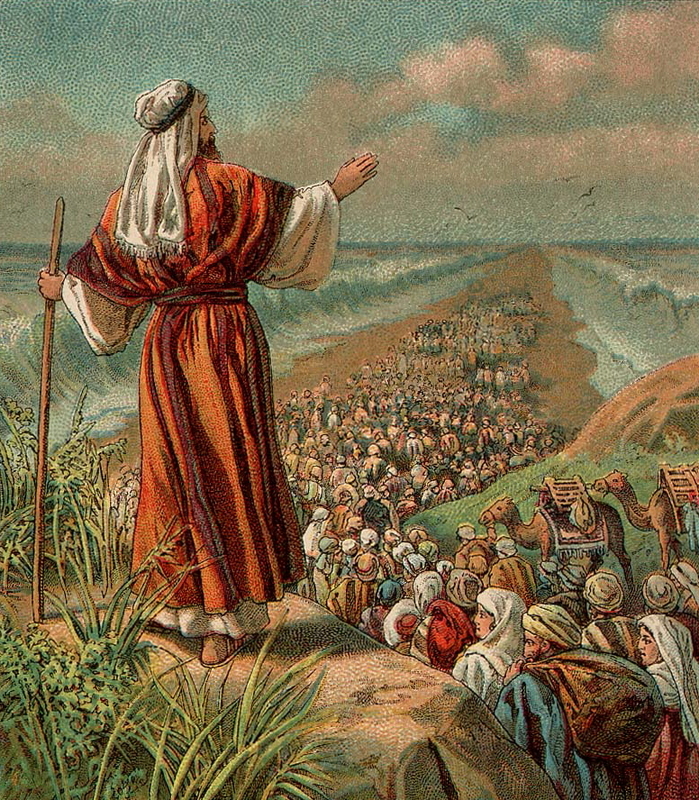 Click here for an interesting study on the route of the Exodus (we don’t agree with everything taught at Bible.ca, but this is worth considering). We also recommend Cris Putnam’s three-part article “Armageddon: The OT Background to the Battle for the Cosmic Mountain“. Cris provides excellent context to Yahweh’s command to the Hebrews to turn around and camp on the shore of the Red Sea opposite a site named Baal-zephon (“lord of the north”), very possibly the modern Mount Tiran. It was widely believed that Baal ruled from his “mount of assembly in the far reaches of the north” (Isaiah 14:13), Mount Zaphon (Mount Aqraa on the border between Syria and Turkey, about 19 miles north of the ancient city of Ugarit). So forcing a confrontation with the army and the gods of Egypt at a site dedicated to the Canaanite “Lord of the North” was far more significant than just physically delivering the Israelites from the hand of Pharaoh.